November saw the first winter storm hit the garden. November is probably my least favourite month of the gardening year. No matter what your efforts, the garden always seems to look untidy; littered with fallen leaves and the skeletons of old crops. Spring and summer suddenly seem like a lifetime away and the short days seem to plunge us into constant darkness. It would be so easy to retire to the house and emerge again in the springtime. This, of course, never happens. We gardeners are an optimistic bunch and I, for one, can never sit idle for long. 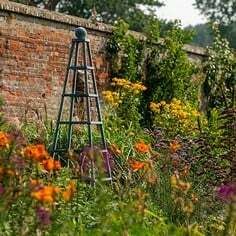 A crisp clear frosty morning with a vivid blue sky soon lifts the mood and a few hours with a rake and wheelbarrow can soon turn the messy plot into a tidy paradise once again. November saw the first of the winter storms at Stephanie’s Kitchen Garden. Storm Angus swept across the country causing gardeners everywhere to open their curtains and despair at the mess it has left in its wake. It ripped leaves from the trees and scattered them wide across the garden. We also had a few branches down around the main grounds. Thankfully, that was the worst we suffered. Our structures in the kitchen garden are all securely pegged down, and on the whole survived the storm intact. Only the occasional piece of fleece came unpegged, but was soon secured again. 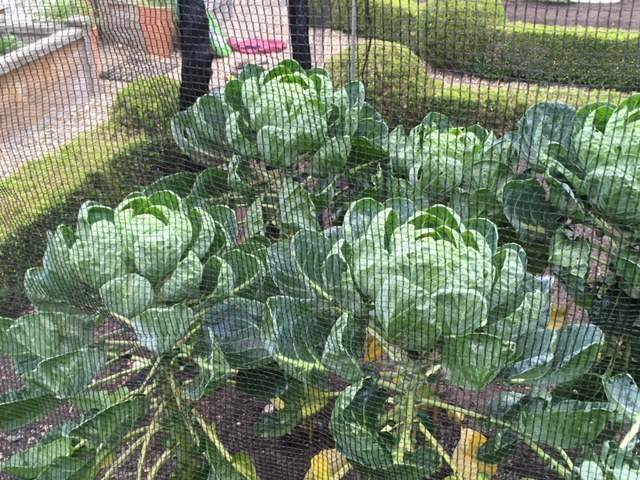 Our stormproof brassica cage once again proved the success of its design and kept my precious sprouts safe. The net, designed to collapse in high, strong winds, has done its job well leaving the metal structure undamaged. The net was simply hooked back up onto the frame, taking a matter of seconds; a vegetable gardener’s blessing. The first really cold spell of the autumn arrived in Stephanie’s Kitchen Garden this month, with overnight temperatures dipping dramatically. Our first hoar frost is forecast as I write this. 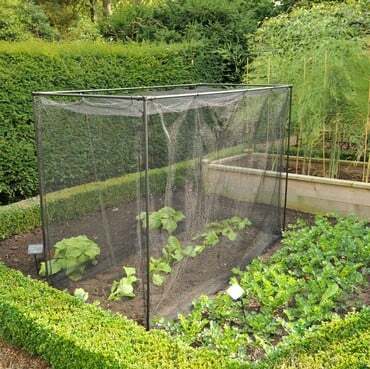 Outside in the garden, we have been quick to cover our tender plants with fleece and cloches, and in the greenhouse, our heater h as kept the crops happy. This year we were still harvesting tomatoes and cucumbers in early November! 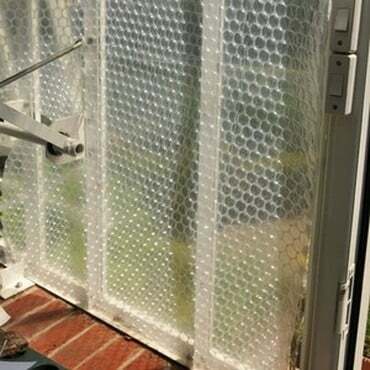 The greenhouse had been given a thorough clean and tidy up, before being treated to some bubble wrap insulation. 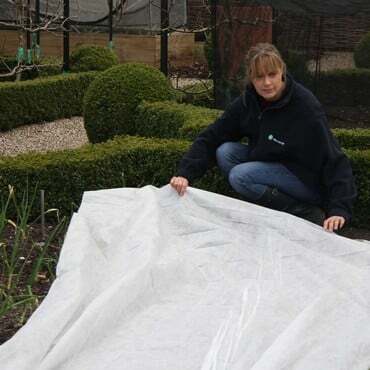 This will help keep the greenhouse warm and frost free through the winter months, without huge heating bills. Our greenhouse is quite big, so we put in a ‘false ceiling’ of bubble wrap to save us from heating unused space. Clearing the greenhouse always feels a bit like taking down the Christmas decorations from the house; a real sense of sadness that the season is over and they need to come down, but a real satisfaction at the clean, tidy and uncluttered space that is left when the job is done. There are countless pots and trays to be cleaned ready for their next use, and these are sitting neatly organised under the staging waiting for cold winter days when a bucket of hot soapy water will be a welcome treat for frozen, dirty hands. The big autumn tidy up has continued outside as we turned our attention to our bean supports. The bean plants had been shedding their leaves over the past few weeks and were now mere skeletons of the plants they once were. Now is the time to remove the stems from the supports and consign them to the compost bin. 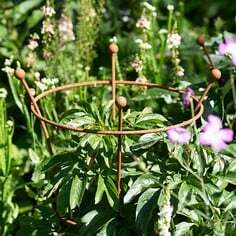 This can be a time consuming job as the plants have done a fantastic job of entwining themselves through the netting over the summer, but it is worth taking the time to clear and clean the supports thoroughly before storing them away for the winter. 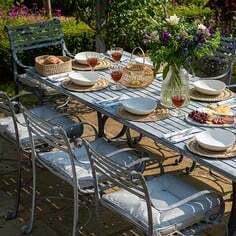 Come the spring, when the garden is busy, we will be glad the supports are clean and ready to use. The roots of the bean plants will be left in the soil as they have beneficial nodules that help to fix nitrogen into the soil, improving it for the next crop to take their place. The ground will now stand empty as it is destined to be home to our potatoes next year. 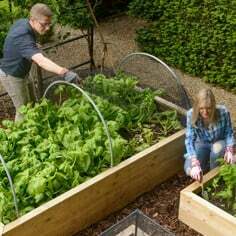 The soil will be raked occasionally to keep it tidy and to stir up any pests for the birds to snack on. November hasn’t all been about the season past though, we have also been planting and planning for the new growing season ahead. Outside we have been planting out our broad bean plants, that had been hardening off in the cold frame. 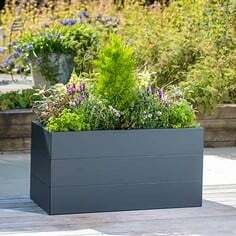 These were planted within a slot and lock framework covered in fleece to keep the plants cosy and stop the pigeons tucking in! The structure was covered by bird netting initially, but got quite a battering from the storm. Anticipating more storms ahead, we replaced the netting with fleece to give them a little added protection from the elements. This time of year can feel quite sombre; so far away from the main growing season. So this month, to perk us up, we dug out the heated propagator and a grow light and sowed some chilli seeds under cover to get an early start for next year’s crop Seeing little green seedlings poking through the soil will be a real treat on dark winter days. 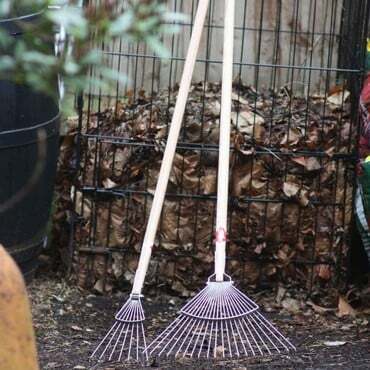 Clear leaves and plant debris as it falls to keep the garden tidy and pest-free. Put up Christmas lights on bay trees and aches. Make a Christmas wreath with items from around the main garden to decorate the potting shed door. Complete next year’s seed order. We're always here to offer help and support. 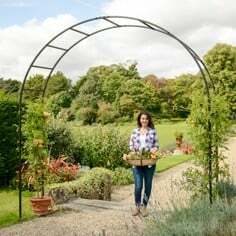 Go to the Ask the Expert section on our website and email Horticultural Advisor Jo Blackwell with your Kitchen Garden and she'll do her best to help. 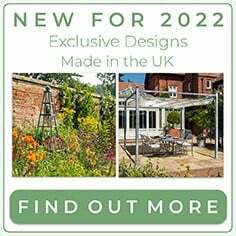 We're busy tweeting about all things Harrod Horticultural - what we're doing, special offers, gardening tips and advice and you can always use Twitter or Facebook to get in touch with us as well. With our webteam manning the Tweet desks and Facebook site, you can be sure you will get the best service we can offer. 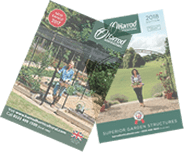 Our 108 page catalogue is out now and is packed full of gardening ideas and products to solve the problems every gardener faces, plus plenty more seasonal ideas for harvesting, storage and preserving solutions.